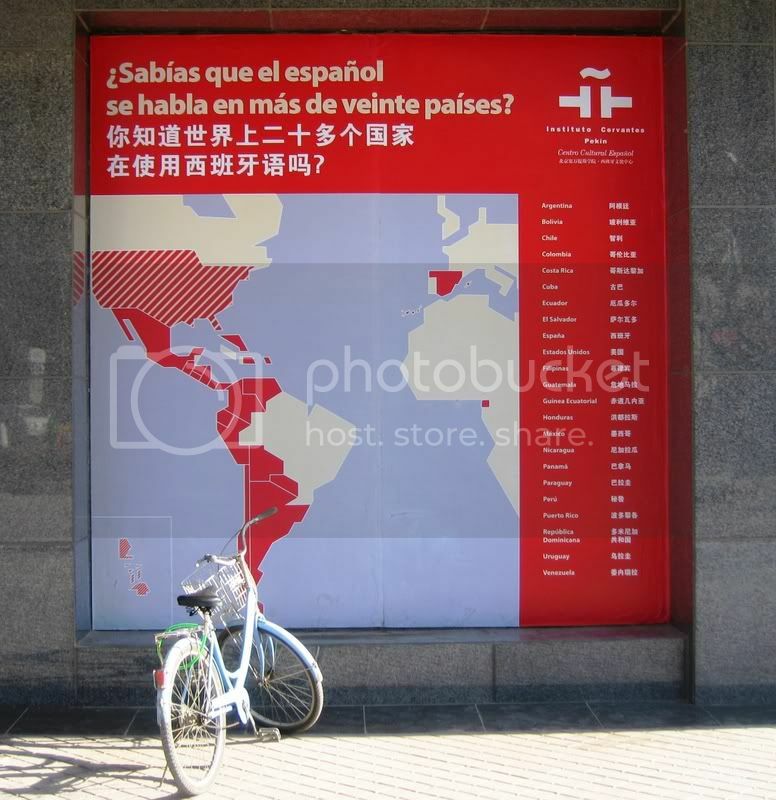 Outside the Instituto Cervantes, the Spanish language and cultural organization (like the Alliance Francaise or the Goethe-Institut), in Beijing . Apparently it's not just Little Havana any more! Update: Those spots next to the bicycle, in the inset in the bottom-left corner of the map? Apparently they're the Philippines! As reader Andrew Miller points out, counting them in the world of Espanol, even cross-hatched, is a much bigger stretch than counting the United States. To spell out the joke for non-Americans or those not sodden in U.S. politics: Tancredo, now disappeared from the Republican presidential race, was the main alarm-raiser about the immigrant menace to America -- especially immigrants from Mexico and points south. How would he feel about a sign saying: "Do you know that Spanish is spoken in more than twenty countries?" -- with a map showing the United States already halfway there? ?